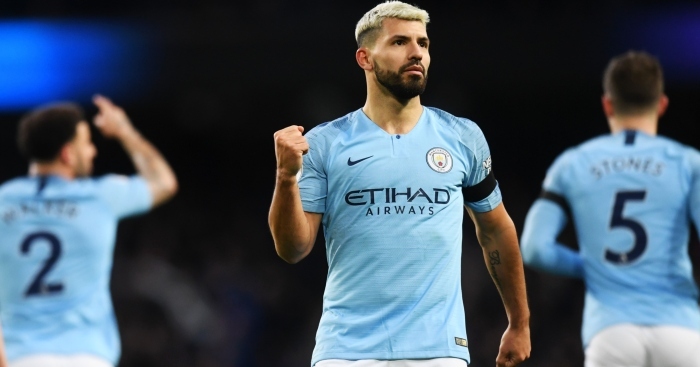 Sergio Aguero broke or equalled three different records – two Premier League landmarks and one club record – with his hat-trick on against Chelsea on Sunday. By stroking home a second-half penalty, the Manchester City star equalled Alan Shearer’s record of 11 Premier League hat-tricks. Against the beleaguered Blues, Aguero became only the sixth player to score or assist 200 goals for one club in the Premier League, joining Wayne Rooney, Ryan Giggs, Thierry Henry, Frank Lampard, and Steven Gerrard. * Aguero also claimed a new club landmark on Sunday, with his three-goal haul moving him beyond Eric Brook and Tommy Johnson (both 158) to become City’s highest goalscorer in the top flight. * Aguero already held City’s overall goalscoring record and now on 222 goals for the club, he is 45 clear of Brook and 56 clear of Johnson. * In all competitions, Aguero has faced Chelsea more than any other opponent. In 17 games against the Blues, he has scored 15 goals – his joint-highest strike rate against any single opponent. Aguero has also scored 15 goals against Newcastle but in only 11 matches. * Since moving to the Premier League, Aguero has taken 886 shots, with 372 on target, giving him an overall shooting accuracy of 42%. Aguero has hit the woodwork 26 times and missed 113 big chances. * Since 2006/07, only Robin van Persie (44) and Wayne Rooney (29) have hit the woodwork more often than Aguero (26). * Since 2006/07, only Rooney (1,237) has had more shots than Aguero (886) in the Premier League. * This season, only Aleksandar Mitrovic (71) and Mo Salah (66) have had more shots (not including blocks) than Aguero (64). * Aguero has hit the target with 50% of his shots. Of the players to have scored 10 or more goals, seven have a better accuracy rate. The top three: Raheem Sterling 78%, Eden Hazard 75%, Salah 65%. * Aguero has scored 14 of his 17 Premier League goals this season at the Etihad Stadium. His is the largest percentage of goals to be scored at home (82.4%) of anyone with seven or more goals in the league this term. * City are not as reliant on Aguero’s goals as much as Liverpool rely on Salah’s. Aguero has scored 23% of City’s 74 goals, while Salah has scored 28.8 % of Liverpool’s 59 goals – the third-highest share of his team’s tally in the Premier League. There are 17 players to have scored a greater percentage of their team’s goals this season compared to Aguero. * Aguero has scored 113 goals with his right foot; 30 goals with his left foot; and 16 with his head. * Aguero’s successful penalty on Sunday was the 35th he has scored for City. He has missed nine spot-kicks. * Aguero has scored ten Premier League hat-tricks since Manchester United last scored one. 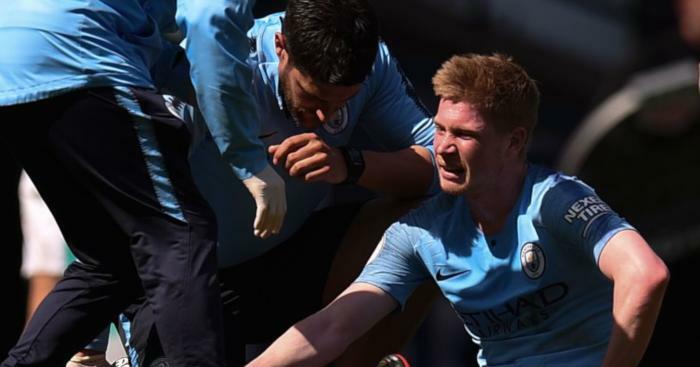 Pep Guardiola is waiting to find out the severity of Kevin De Bruyne's injury suffered in the 1-0 win over Spurs. 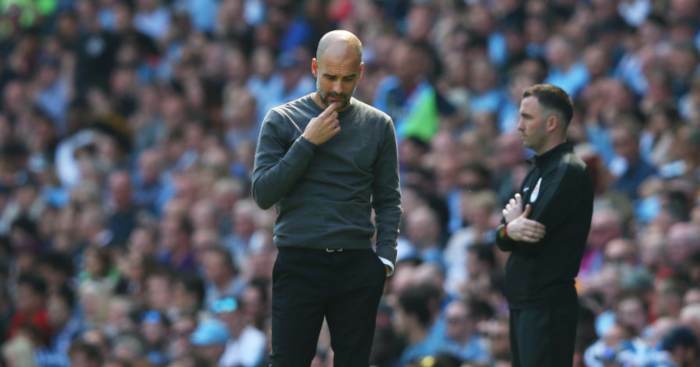 Pep Guardiola thinks City's title race would have been over if they had dropped points against Tottenham. 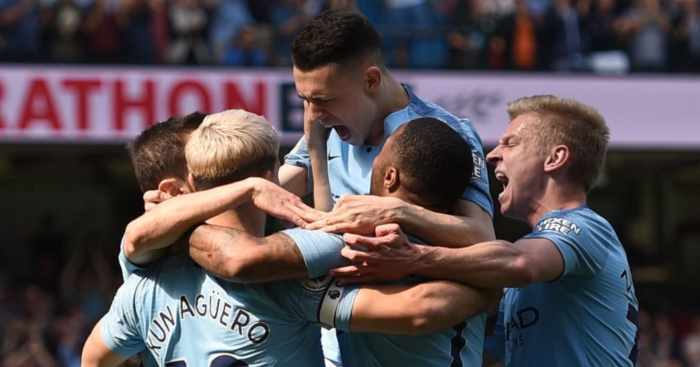 Man City edged out Spurs 1-0 thanks to Phil Foden's first-half header to put pressure on Liverpool in the title race. Man City's quad bid was ended by Spurs. But how have previous attempts to win it all gone south? 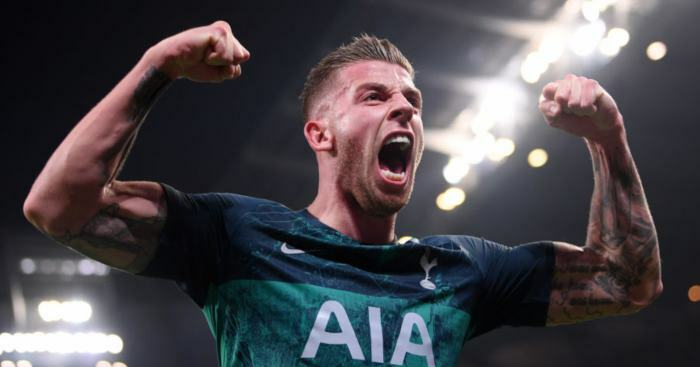 Toby Alderweireld went from "hell to heaven" as Tottenham snatched a Champions League semi-final place. 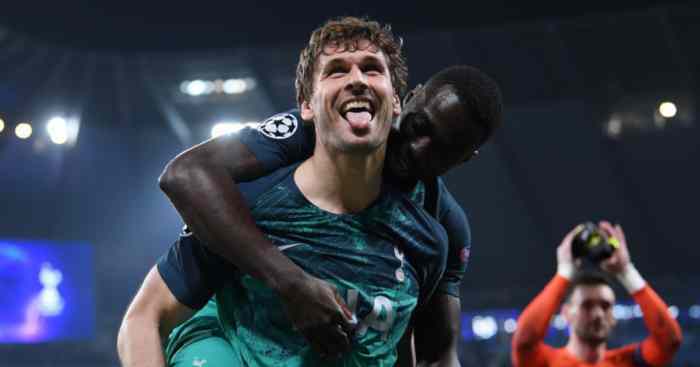 Spurs edged out Manchester City on away goals after a thrilling night at the Etihad Stadium.